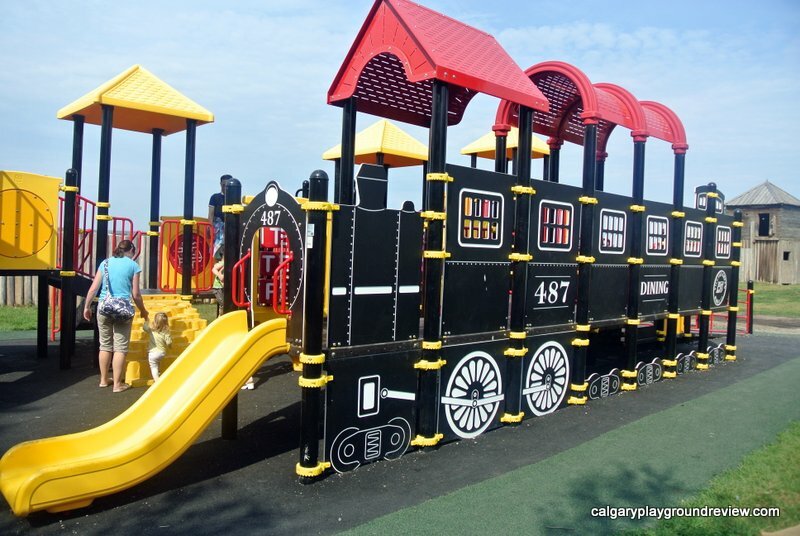 Gordie’s Review (5 years old): “I liked playing train”. Shade: some shade from trees on the south side of the playground. Features: Train themed play structure with ramps, cat walks, bridges, twisty slide, triple slide and musical panels. 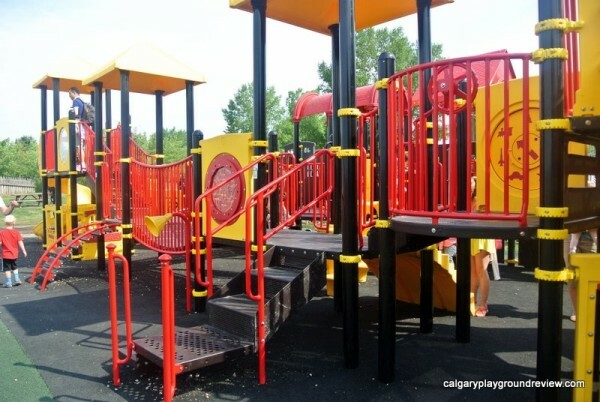 Surrounding Park Area: Located inside Heritage Park on the South west end. 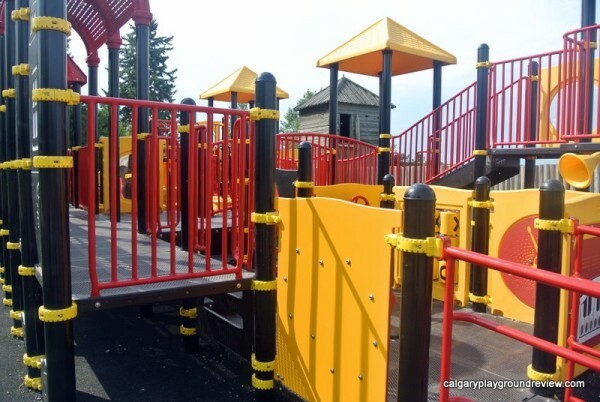 Accessibility: The playground flooring is accessible. 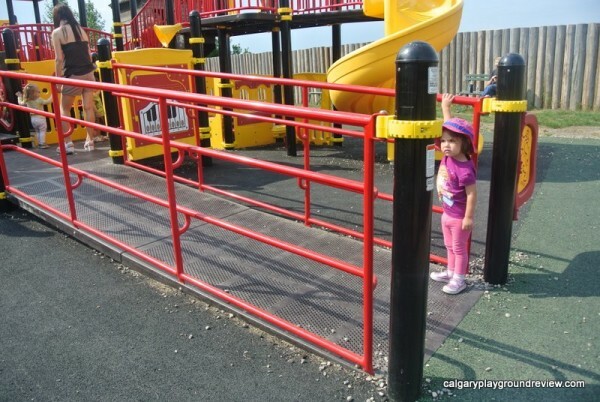 There is also a ramp with accessible panels. 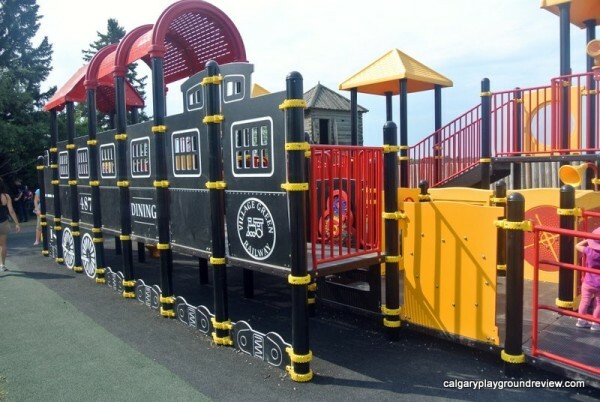 Seating: There are a few benches and a picnic table nearby. 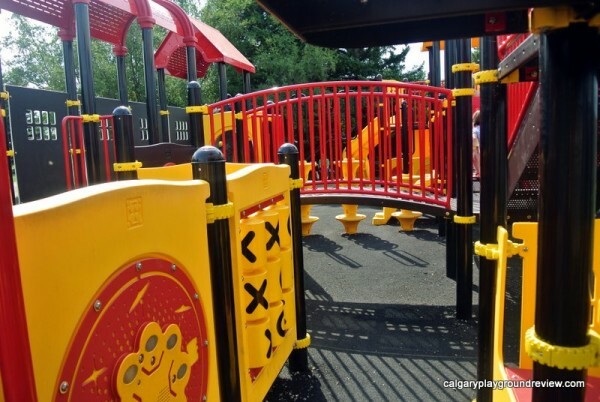 There is lots of seating elsewhere in the park. 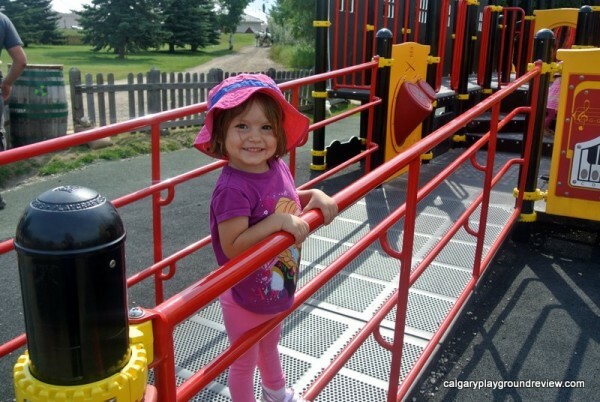 Overall assessment: Although this playground does require you to pay admission to the park, it is definitely worth stopping at if you are visiting Heritage Park. 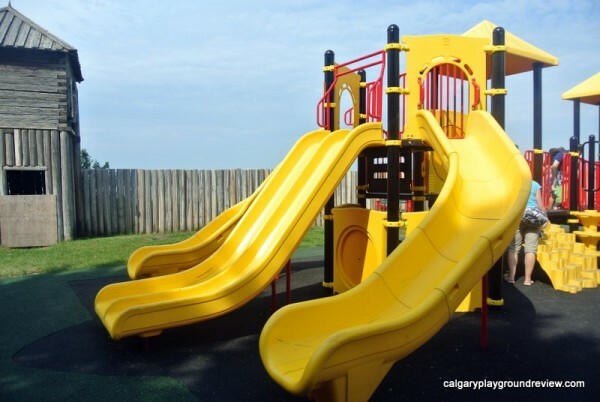 The playground is excellent and can accommodate lots of kids and will interest kids of a wide variety of ages. 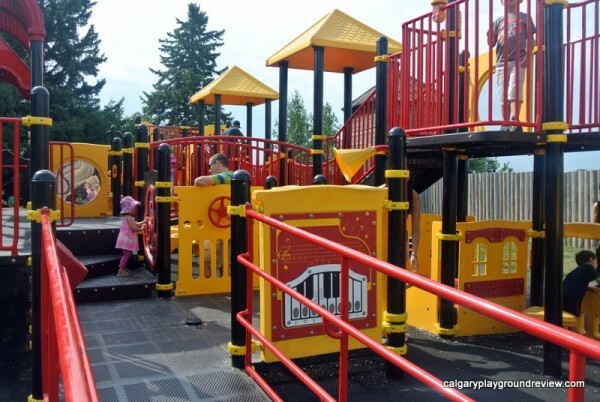 Younger kids will love the ramps and musical panels and older kids will love using the playground as a backdrop for imaginative play. 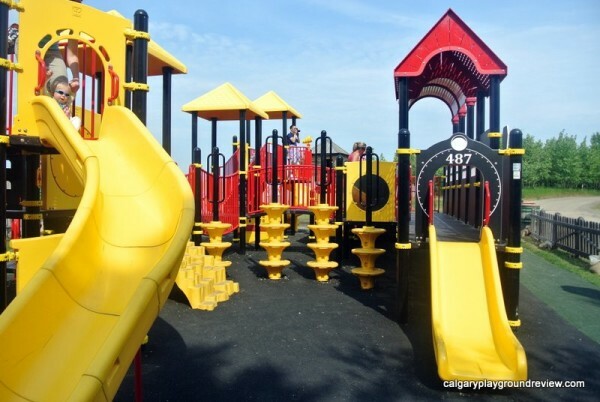 Our grandkids loved this playground. There’s a lot to do. We’ll be back.